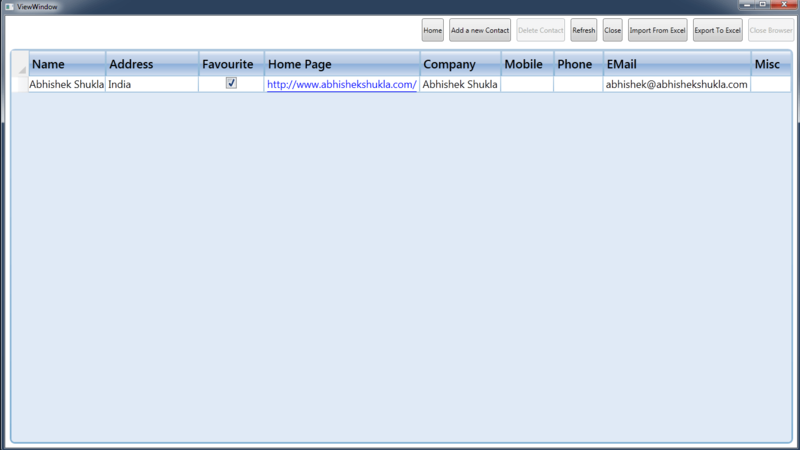 I am sharing my latest application which is a address book developed in WPF and C# using MVVM pattern. Following are the features of the application. You can save data to the data base local to application. None of the other applications are required. Needs only .NET Framework to run. You can download the Source code and the executeable below. Feel free post any questions, comments or feedback.